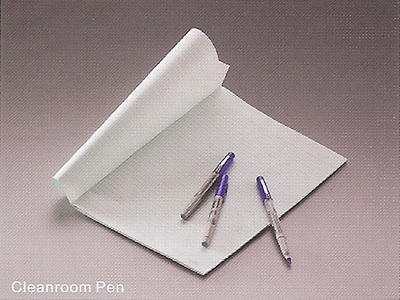 We offer a wide selection of cleanroom products that include notebooks, pens and paper all specially produced for cleanroom environments. Description: The notebook is made of high quality cleanroom paper which has excellent ink absorption capacity and low particle content. 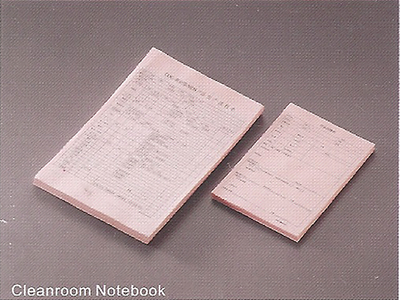 Custom cleanroom notebook of all sizes and colors are available. 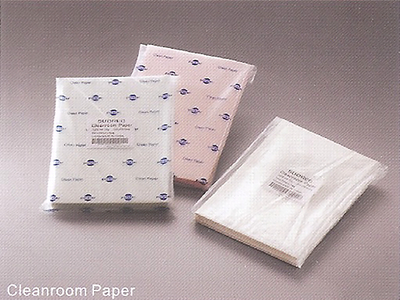 Description: The cleanroom paper is cut and printed in our Class 10 cleanroom environment ensuring high cleanness level and quality. It is especially designed for transcribing and recording in the cleanroom. Color: White, Pink, Green, Yellow, Blue, etc. Description: Our pens are designed for applications in Class 100 Cleanroom. The pens are composed of materials having very low particle counts with inner mechanism that prevents particle release from the moving parts. The ink is permanent and will not cause any oil stain. The ink easily transfers onto cleanroom papers and labels.